The 1969 Camaro SS with the 427 Big Block is a legend. The 425-horsepower engine is well matched to a four-speed manual transmission, and it has an earthshaking sound when revved. The Camaro was introduced in 1967 and was selected as the Indianapolis 500 pace car in its first year. 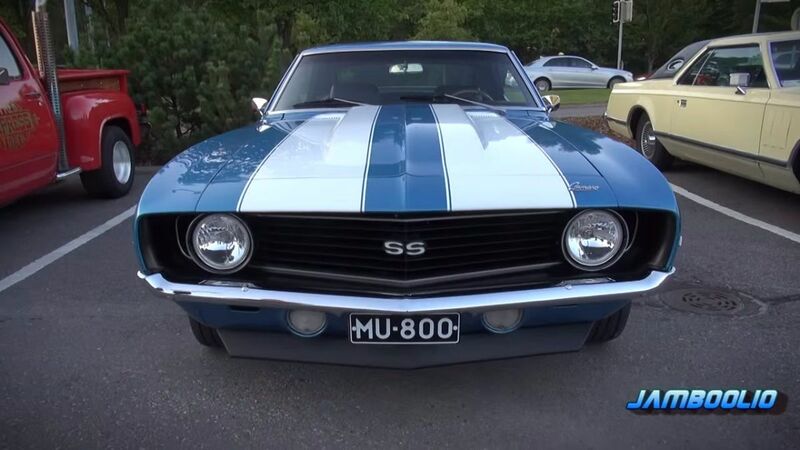 The Camaro was again given this same high selection in 1969 after the body underwent minor cosmetic changes. One of the biggest changes for the 1969 model was the multitude of trim, engine and transmission options that were available to almost any new car buyer. One of the most powerful options was the SS 427 (425 horsepower) with a four-speed transmission. When this powerhouse was added to the rather lightweight Camaro body (3,642 pounds), the result was a blistering acceleration of 0 to 60 mph in 5.5 seconds and a 1/4 mile drag time of 14.2 seconds! 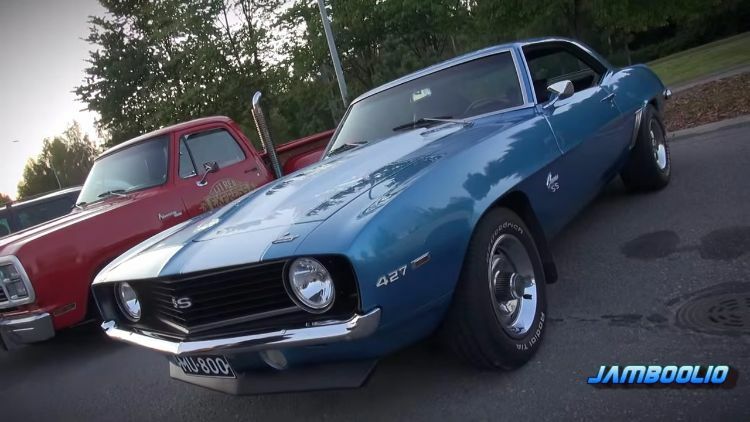 According to Automobile Catalog, the first generation Camaro’s fuel consumption was an estimated 7.7 to 10.1 mpg in the city and 9.9 to 13.1 mpg on the highway. The 18-gallon fuel tank meant that the estimated range on a tank of gas was 140 to 180 miles in the city and 180 to 235 miles on the highway. While this video doesn’t show the 1969 Camaro SS 427 four-speed’s full capabilities, it certainly gives you a sense of the pure excitement it brings, as well as how much of a pleasure the car is to drive. So just sit back, turn your speaker volume up to “11,” hit the “Play” button on this video from Espoo Finland, and get ready for your pulse to race! SHARE if you’re a fan of the 427 Camaro SS! Watching Albuquerque drift legend Dan Brockett effortlessly throw the Mustang Cobra around the corners is a joy for all car enthusiasts to behold. With an LS6 engine with supercharger offering over 600 horsepower, this car could give a Formula 1 car a run for its money. The patriotic AMC Rebel Machine was built to last, and this 1970 Machine is as good as new.